CoolGames is on a mission to reshape the mobile games experience. In the post-app era, games can now be played instantly and shared among billions of people. Straight from the cloud without the need to download the game first. Social media and Messenger Platforms are opening up an entirely new market for mobile games. 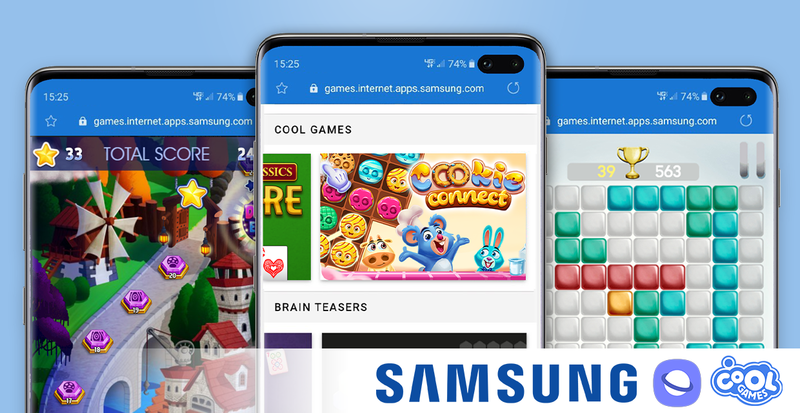 CoolGames is dedicated to developing and publishing the very best games that are available for Messenger Platforms today. November 7, 2017 - Snake wins Best Use of New Technology Award 2017! Now available on LINE QUICK GAME! As one of the first international publishers CoolGames has been asked to join the newly launched LINE QUICK GAME service of LINE Corporation, the leading messaging app in Japan! 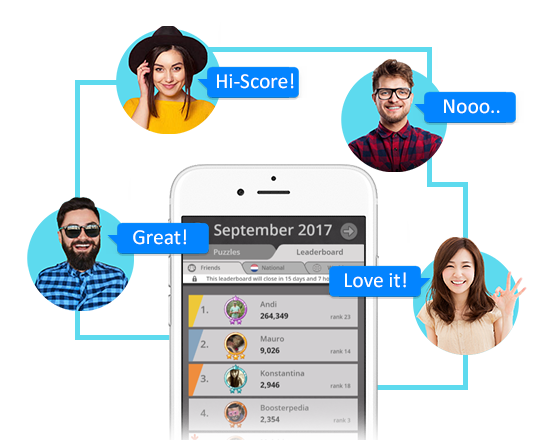 CoolGames has developed a customized Sudoku game, based on its existing Daily Sudoku that has been successfully published on many other platforms before. 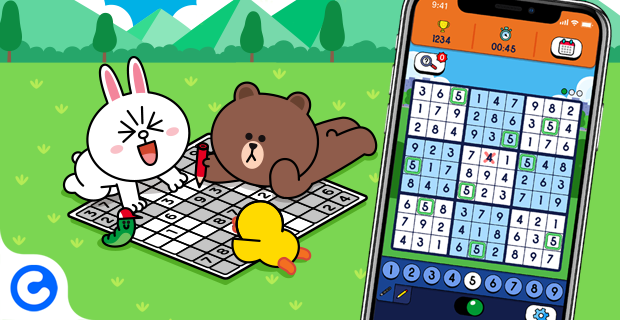 With the game, users can unlock a series of new Sudoku’s every day, while gradually improving their experience and ranking on LINE leaderboards. The game also features several popular LINE characters, including Brown, Cony and Sally. Angry Birds, play a one-on-one game of Angry Birds right from Facebook Messenger! 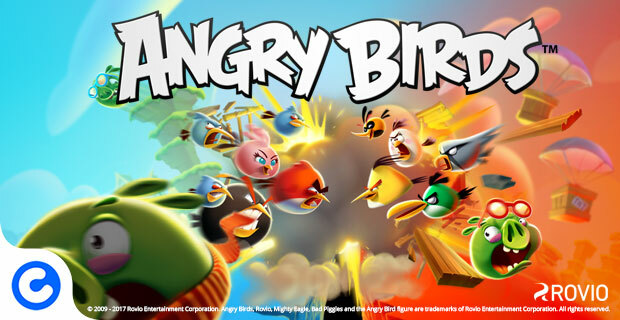 CoolGames and Rovio Entertainment have globally released Angry Birds for Instant Games by Facebook. It is the first time players get to enjoy the slingshot experience in Facebook Messenger with their friends, as multiplayer edition of the world famous Angry Birds Classic game arrives to Messenger. CoolGames was global launch partner for Facebook Instant Games in November 2016 and has released many successful games for this platform since. Tetris®, the iconic video game, now live on Facebook Instant Games! Tetris remains one of the most beloved and recognized video game franchises of all time. 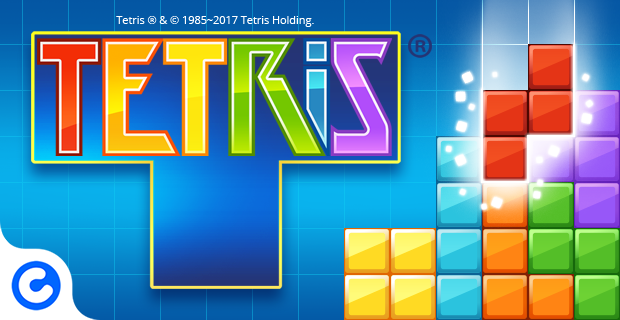 Tetris for Instant games offers a marathon mode, where players need to clear lines with the goal of achieving the highest score possible! Adding to the intense gameplay experience, new high-score leaderboards, daily missions and simple to use friend-invites will make the new Tetris a fun, social experience!